Hot chocolate has been considered comfort food and a real treat for all chocolate lovers for many a year, and rightfully so. It always tastes best when it’s homemade, and no matter if you want to warm yourself up on a cold winter day, or you just want a sweet treat that is delightfully easy to prepare, this recipe should suit your every need. 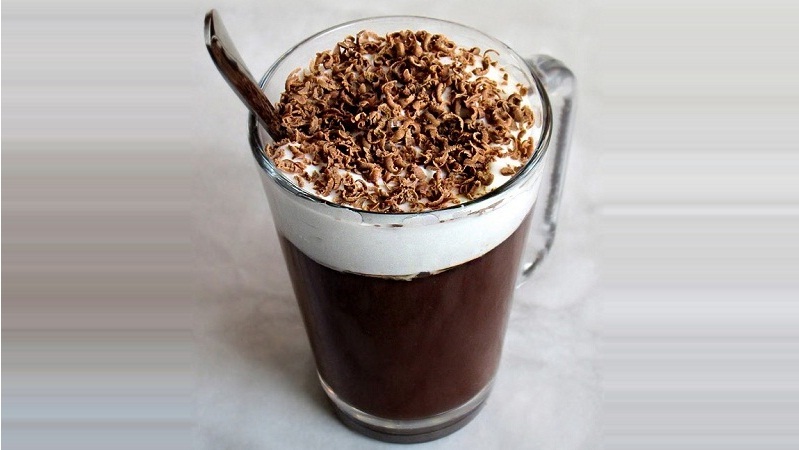 Although hot cocoa and hot chocolate are considered to be the same thing, in Europe, hot chocolate is prepared thick and made with real chocolate, sometimes with a consistency of chocolate custard; and that is exactly how I prefer it, almost resembling the Italian classic – cioccolata calda. Sugar cooked until deep amber colour, melted into hot milk, then finally enhanced with chocolate, vanilla, and cream; it is best served hot, adorned with miniature marshmallows or dollops of freshly whipped cream, and perhaps a few shavings of chocolate. It can also be left plain, although I find the addition of cream balances well the sweetness of the chocolate. Opt for 35% of cocoa solids and not an extra dark chocolate bar because you still want the rich caramel taste to come through in the hot chocolate, and a chocolate bar that’s too dark will overpower that flavour. If you’re so inclined, you can replace some of the milk with cream, to make it even richer and smoother. Start by taking away about 100 ml of milk, and whisking it really well with sifted cornflour and the cocoa powder in a medium bowl, and set it aside. Pour the caster sugar in an even layer in a heavy-bottomed saucepan, then place it over medium heat and let the sugar melt slowly. Do not stir the sugar at this point, but once it starts to brown around the edges, slowly and gently move the melted parts towards the centre. Keep cooking the sugar over medium heat, whilst keeping a close eye on it, until it starts to turn darker in colour and become very fragrant. Once it becomes a deep amber colour, very carefully, in a slow stream, pour the rest of the milk, and let it come to a boil. When the milk starts bubbling up, add in the mixture of corn starch and cocoa powder in a steady stream, and cook until it thickens up, about 2-3 minutes. It should resemble a very rich chocolate custard with a thinner texture. Remove the saucepan from the heat and strain it through a mesh strainer, just in case there are some pieces of hardened caramel still not dissolved. Immediately add in the chopped up chocolate, and stir gently until the chocolate fully melts. Add in the vanilla, give it one last stir, and pour it into two serving mugs. 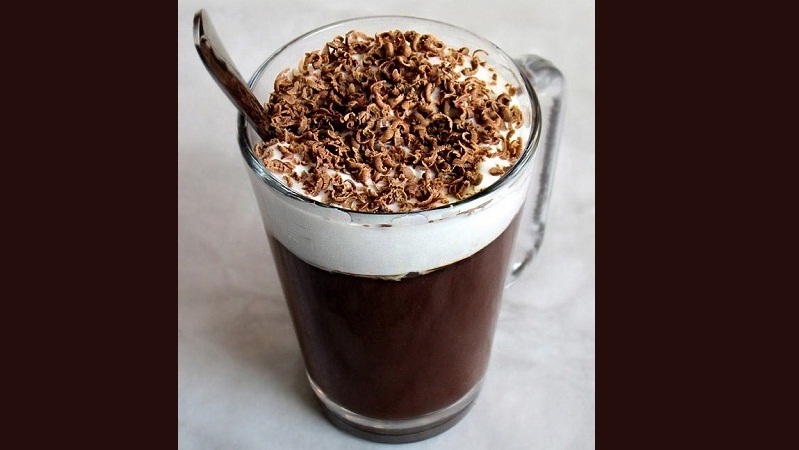 Whip up the double cream until soft peaks form, and gently place little dollops on the top of the hot chocolate. Decorate as desired, and serve immediately.